HomeBusinessDavid Malpass: Who is Trump’s pick for World Bank president? 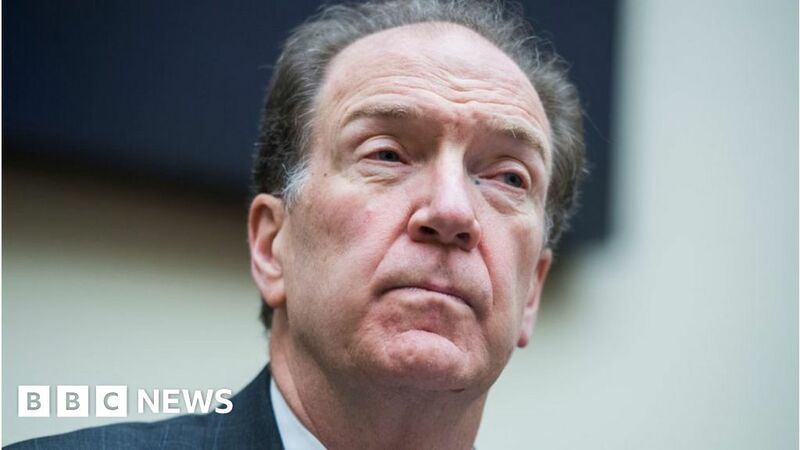 February 7, 2019 Business Comments Off on David Malpass: Who is Trump’s pick for World Bank president? After senior roles in the US Treasury during the Reagan and George HW Bush administrations, Mr Malpass became chief economist at Bear Stearns bank. He was there for 15 years before the bank’s near collapse in the 2008 banking crisis. Bear Stearns narrowly avoided insolvency in March of that year after hedge funds got spooked by the investment bank’s exposure to subprime mortgages. It was bought by rival JP Morgan for a fraction of its former value, with the backing of the US Federal Reserve. Mr Malpass left Bear Stearns three months later. He was subsequently criticised for an August 2007 Wall Street Journal article in which he urged investors not to panic about the credit market. The New York Times also criticised Mr Malpass for that and other Wall Street Journal articles, saying partisan bias towards Republican policy by economists had “unquestionably contributed to their forecast errors”. After leaving Bear Stearns in 2008, Mr Malpass founded research group Encima Global, and held a number of directorships at finance firms. In August 2017 Mr Malpass again took up a senior role at the US Treasury, becoming undersecretary for international affairs. Since then Mr Malpass has pushed for the World Bank to halt lending to China, which he says is too wealthy to deserve such aid, and has harsh lending practices to other countries. To become World Bank president Mr Malpass has to win approval from the institution’s executive board, which has 25 members. “They have a choice. It’s a simple majority vote, the US has no veto in this election and there are many better candidates,” Mr Sandefur said.